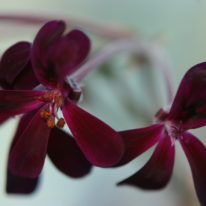 Species Pelargonium. 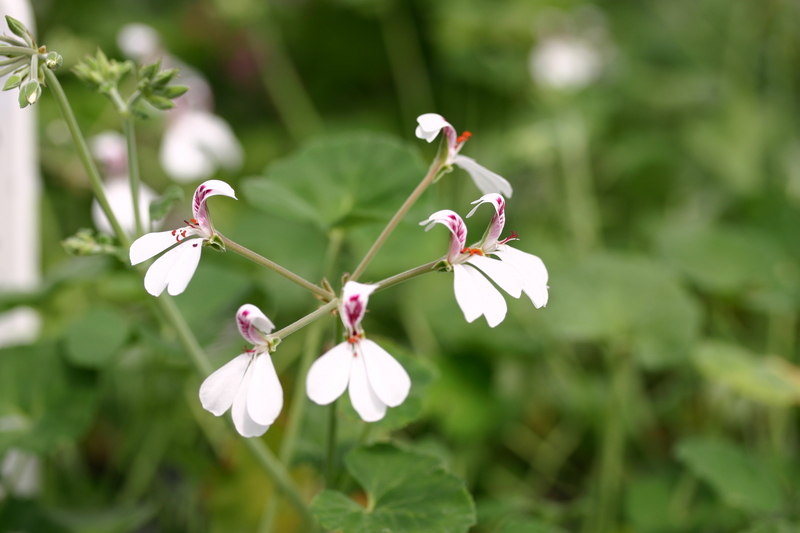 Small white flowers, larger bottom petals, top petals are feathered with red. Similar to P. odoratissimum but with neater and smaller green leaves on long petioles . 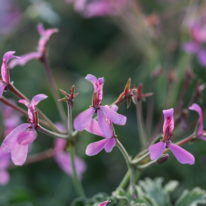 Forms a rosette with tall stems of inflorescence. Unusual but pleasant scent to some resembling that of black pepper oil. 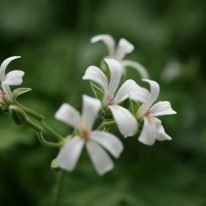 Hence its common name of the ‘Black pepper scented Geranium’.